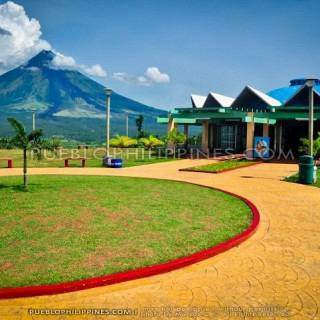 Bicol, for me, has one of the most diverse sets of tourist attractions in the Philippines. It has alluring natural features, remarkable historical structures, lively festivals, great food, and sought-after adventure destinations. Since it was my first time to step foot this part of the Philippines, I didn’t want to miss out on the best the region had to offer. 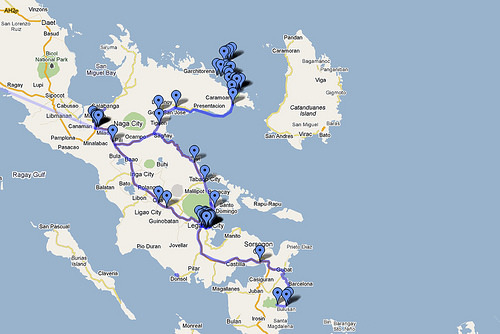 It’s a shame I only had a week to explore Bicol … there’s just a lot of interesting places to visit. My plan for this trip was to visit as much of Albay and Camarines Sur Provinces and then squeeze in a quick side-trip to Sorsogon before heading back to Manila. Overview ( Part 1 / Part 2 ): My first agenda after touchdown in Naga City, Camarines Sur was to witness the 300th celebration of the Peñafrancia Festival. 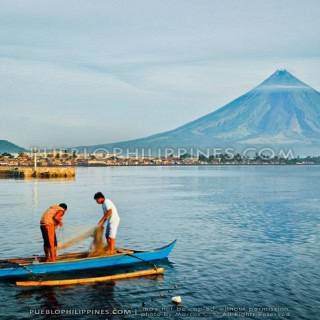 Then it was off to Legazpi City, Albay to capture the iconic beauty of the Mayon Volcano. I went back again to Naga to explore the city after the chaos of the festivities had subsided. Seeking to see the famed “Survivor” Islands, I spent 3 days in Caramoan to see its untouched beauty for myself. On my way back to Legazpi, I traveled off-the-beaten-path along the “PARTIDO” coastal highway. I originally wanted to experience swimming with the whale sharks in Donsol, Sorsogon but since it wasn’t “in season.” I decided to have my side-trip to Lake Bulusan instead. I hadn’t researched about transportation out of Naga Airport, so I settled with the taxi. I discovered that the airport entrance was just a 15 minute walk to the highway. From there, it’s a short bus/jeepney ride to the integrated transport terminal found beside SM City Naga. It was around 4PM when the procession passed by our position along Elias Angeles Street. I didn’t get to take photos of the actual fluvial parade at the Naga River unfortunately. 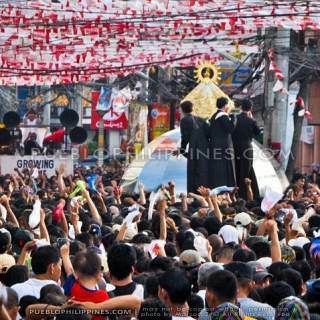 It was around 5 to 6PM when the image of the Penafrancia arrived at the river for the fluvial procession. The integrated bus terminal in Naga is found just beside SM City Naga while the Filcab van terminal is found across SM. 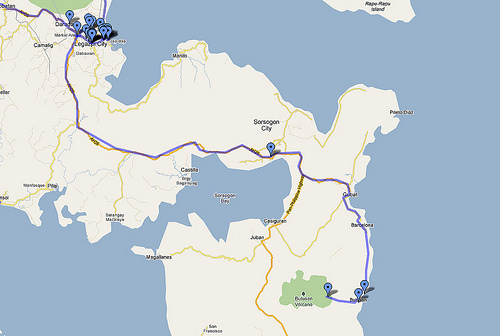 The buses between Naga and Legazpi take a considerably longer time (because of multiple stops) compared to the van. Sampaguita Tourist Inn is within a safe location with convenient access along Legazpi’s main street. Rooms and linens are clean. It’s a decent place to stay decent considering the price. Highly recommended for budget travelers. 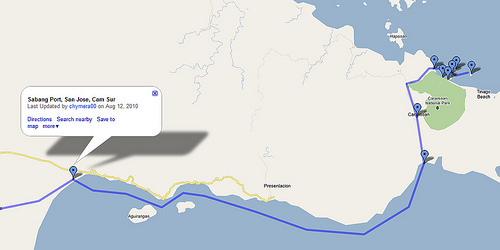 2:00PM – Jeepney ride to Embarcadero de Legazpi – P7. Drop-off at the entrance of the Sea Wall Park / Legazpi Boulevard. 2:25PM – Embarcadero Lighthouse Viewdeck: Photo-ops of Legazpi City and Mayon Volcano at the “Lighthouse” view deck of Embarcadero – P20 entrance fee. 4:25PM – Daraga Church and Town Proper Sightseeing. Dropped-off off at the market and made my way up the hill to the church. 4:40PM – Walk down to highway. Jeepney ride to Cagsawa Ruins (5 to 10 minutes) – P7. Drop-off at Cagsawa Ruins highway intersection. There are two “Daraga” routes plying the highway … confirm with the driver if the jeep you’re on goes to Cagsawa (and not the way to Ligñon Hill). Ride bus to Camalig – P15. Drop-off at Let’s Pinangat Eatery. I was actually planning to ride the bus direct to Naga City already but it took too long for one to pass by. I was hoping to catch one at Polangui. Pinaysolobackpacker warned me about the buses in Bicol, taking too long to travel between Naga and Legazpi. She was right! If you’re not planning to make stops to towns along the way, take the van instead. The bus ride from Polangui to Naga City ate up a good part of my afternoon. Met with my Nagueno friends once again. We planned a church hopping tour of Metro Naga. We didn’t take the local commute since they had a ride. My friend also offered me a bed for the night but there’s a Sampaguita Tourist Inn branch in Naga City for budget travelers. Geewan offers affordable Bicolano dishes. A meal costs less than p100 per person. From Guijalo port. It’s still a tricycle ride to Caramoan Centro (Town Proper), where most of the tourists usually spend the night. There’s no beachfront area in the centro since it is landlocked. Tourists can also stay at Paniman or Bikal Beaches, the main jump-off points to the Caramoan Islands but both beaches are black/grey sand and accommodations are a bit pricier. The most of white sand beaches in Caramoan are located in its off shore islands and islets. You need still need to hire a boat to get there. The room and bathroom were clean and I loved that they had free WiFi. I give it my “highly recommended for budget travelers” stamp! I was hoping to join other tourists for the island hopping tour. Unfortunately, I didn’t find other tourists that afternoon … mostly probably because it was low season (on a weekday) and the ones that arrived that day were already off in the islands. Would’ve been better if I arrived early. Anyways, I decided to arrange the island hopping trip for the next day. Would’ve been better if I had a group to split the cost with but the chances were slim at the time. There are two main island groups in Caramoan. I don’t know what their formal names are but they’re known as the “Matukad Island Group” and the “Manlawi/Sabitang Laya Island Group”. Both are located at a considerable distance from each other (probably 30 minutes by boat). Bikal Beach in the mainland is the main jump-off point for Manlawi/Sabitang Laya Island Group. While Paniman Beach is the main jump-off point for Matukad Island Group. Usually, an island hopping tour of 9 islands covering both island groups would cost P3,000. For Sabitang Laya/Manlawi only, it’s around P2,000 and for Matukad Island group only, it’s P1,500. Without anyone to share the cost with, I had to shell out a big part of my budget to see the islands … I only had enough money for Matukad Group, though. Matukad Island Group is where the upscale Gota Beach Resort is located along with the main production area of foreign “Survivor” TV series staged at Caramoan. From what I’ve read in other blogs, Sabitang Laya/Manlawi has the more scenic / picturesque settings. The earlier, the better since the sea is calmer and there are places, like Tinago Beach, that are only accessible during the early morning low tide. Entrance is P300. I just took pictures at the beach entrance. Couldn’t afford spending more money, so I skipped going inside Gota Beach. For Survivor fans, there are several intact “tribal council” set-ups within the resort property. Where the survivor castaways stay at the island. Remnants of the production sets were still there during my visit. The most popular island in the area. There was a hidden lagoon accessible by climbing a steep cliff. Going through the coastal highway between Camarines Sur and Albay is a great way to see the scenic seascapes in the area. There’s an elevated view deck along the highway offering a great view of Atulayan Island in Sagnay town. Since public transport is not frequent in the area, I decided to topload the jeepney instead to appreciate the great view of the PARTIDO Highway. There was a ruins of what appears to be a muscovado sugar factory. A nice could also be viewed of the Mayon Volcano from this area. I was headed to Bulusan Town in Sorsogon at this point. Calculating the travel times (1.5-2 hours to Sorsogon and anoter 1.5-2hours to Bulusan), I knew I was in trouble since there may not be any public transport going to Bulusan from Sorsogon City if I push through. I talked to some of the drivers and found out one of them lives in Bulusan and is willing to take me there for a discount. 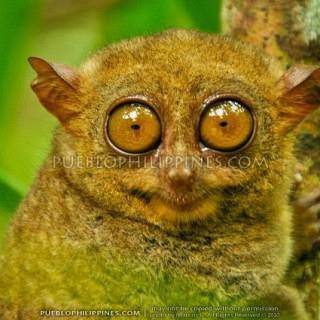 I haven’t researched about accommodations in Bulusan. The driver told me to check-out Dangkalan Beach Resort. 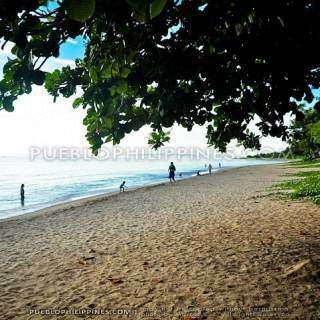 As what can be expected with most resorts in the Philippines, Dangkalan Beach Resort caters to the group/family vacationers … they have large airconditioned cottages rented for P1,000 per 12 hours. I managed to haggle it down to P800 but it was still far from my usual budget. I decided to stick with Dangkalan Beach Resort as a treat to myself for my last night in Bicol. The room was very spacious and could probably fit up to 8 to 10 persons (additional beddings). Obviously, it was too big for me … their smallish aircon unit couldn’t keep up to cool down the room also. I’d say try to look for better choices in the area if you’re bent on spending the night in Bulusan. If you have ample time, I suggest staying at Sorsogon City/Legazpi City instead and just do a day trip to Lake Bulusan. Dangkalan Beach Resort doesn’t serve meals. Bought cup noodles for dinner. There weren’t any tricycle thisearly in the morning at Dangkalan Beach area. I had to walk to the centro to find a tricycle driver willing to take me to Lake Bulusan. 9:00AM – Arrival in Sorsogon City. Dropped off at Capitol Grounds. Find more posts about Favorites. Discover more blogs and travel tips in Legazpi City, Caramoan, Naga City. kaya yan :D Yung caramoan lng at tsaka overnight in Bulusan yung nagpa mahal sa trip kong to. Malaki sana na save ko if I wasn’t traveling solo. thanks for sharing! i’ll use this itinerary this coming september! No problem Gael. Haggard talaga ang mga buses between Naga and Legaspi. Wow! Galing ng itinerary! I also love your photography! Will keep you in my blogroll! cheers! this is so detailed and really helpful. winner! =) thanks for sharing. hi. just want to ask if you were able to visit panicuason spring resort? any suggestions where to stay for this upcoming penafrancia festival? :) we used to stay in CWC,but since we’re not allowed to cook, my fam is looking for another place to stay. :) thanks! salamat sa napakaayos na itinerary, gagayahin ko rin ang itinerary mo ha. Nahanap ko blog mo kasi na-excite ako gusto kong sumakay sa tren na biyaheng Bicol ng PNR, ang dulo ng biyahe ay Naga, pero naisip ko anong gagawinn ko dun? kasi hindi ko alam kung anong meron sa Naga, then Google led me to this page. :) Salamat uli sa napaka-informative na post. yep pwede siya 3 days 2 nights kung Legazpi-Donsol-Bulusan/Naga … baka alanganin sa time kung kasama pa ang Caramoan, malayo siya kase. I think JourneyingJames will give you a better advice on that one. I haven’t done anything like that myself. On a beach setting, I could imagine myself doing that but in the city, not so much. I’ve slept on transport terminals several times already but as a last-resort thing and not for the whole night … just late night-early morning if the trip schedules are too uncooperative). hey guy! 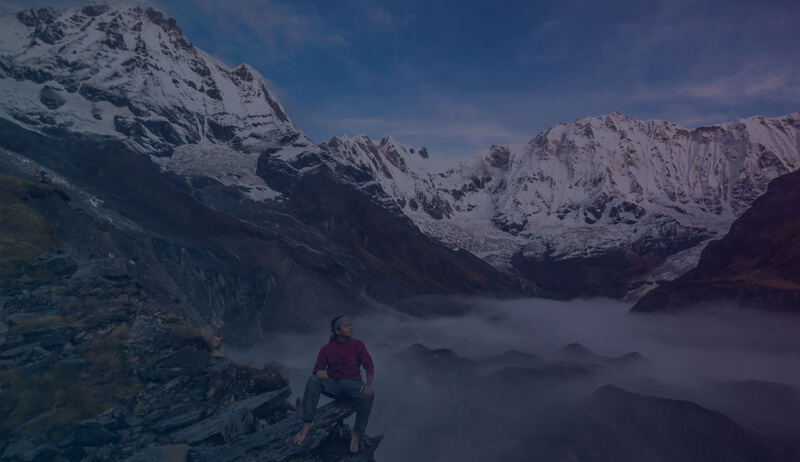 let us know when/where is your next destination and we can meet-up and travel together! Hi! 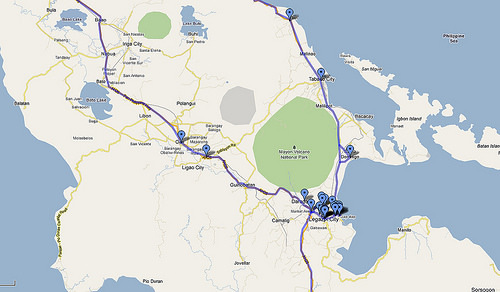 I’m planning an overnight trip to Legazpi. I will try to follow your Legazpi itinerary, super helpful nito :) Question ko lang is, malayo ba ang Sampaguita Inn sa airport? :) At malayo ba ang Camalig Church from Sampaguita Inn? Balak ko last stop yung Camalig church. Dahil overnight lang, what can you suggest na must-visits? Preferably within Legazpi lang. Thank you so much! wow..that’s all i can say. ill use it as a guide.GREAT HELP! Hi Marcos, im so glad my mga bloogers na helpful, second na kita sa nabasa ko for bicol trip, 1st si yannah.would like to get your side, last year pako naka book for mar 12-15 mla-legaspi and eversince problemado, delemna is how to start.i searched the place i want to go but dont know where to start to save time. is it better if to go a place, pasyal den back to the same hotel or every end of the day if san matapos don maghhnap ng hotel? target are tourist spot and beaches, is it better to start the pasyal the farthest area/beach den back to airport for the last day? here are the list, i please need ur suggestions :of course the mayon with the ATV ride, lignon hills, cagsawa, apanese tunnel,legazpi blvd, black sand, Pinamuntugan Island, Bacacay, kawa kawa hills, do they have jeep or van connecting to those places? i really want to enjoy thsi w/out feeling of baka maloko becoz of the fare price etc. i really really need ur advice. hope to hear from u soon.